Not too big , not to small, just the right size for easy use. Good view of far away objects for a great price. 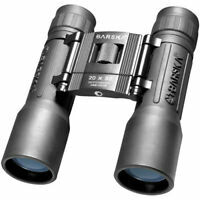 Great compact binoculars for a great price. The delivery time was super fast. 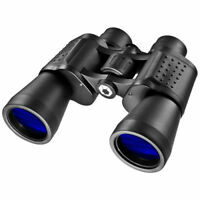 The binoculars are easy to focus, easy to adjust for eye relief. The case is perfect for easy storage. 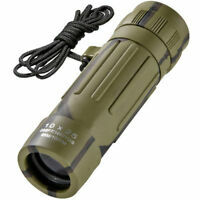 These binoculars combine high power and wide field of view with compact portability. I've owned binoculars that provide one or the other, but not both. 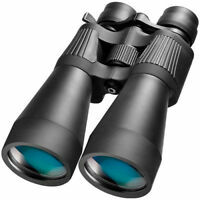 These features are indispensable for observing what's ahead while hiking in wilderness areas. 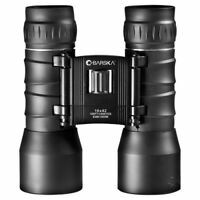 Don't waste your money, I've had many pair of binoculars and even some of the less expensive ones will still give you a decent image. These won't even bring the two images together. Love this ! Fits in my purse and has very good quality Lens. Adjustable eye level for your individual comfort viewing. Comes with Nice case holder with belt loop. Bought this for viewing Basketball and other sport activities.